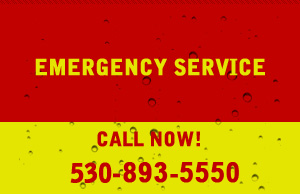 Water well drilling & well repairs for Butte, Tehama, Shasta, Glenn , Trinity, Colusa, Plumas, Yolo & Siskiyou county. How Much Water is Needed? Improperly abandoned water wells are a serious liability. Once ground water is contaminated, it is difficult, if not impossible, to clean up, and the process is always expensive. The logical course of action is to remove the liability by properly plugging, and sealing, or decommissioning all abandoned wells before water contamination occurs. One of the best ways we can protect the quality of our groundwater is to promote and carry out proper abandonment procedures. Well abandonment has a single main objective: To prevent contamination of aquifers. While this simple statement is indeed the overall objective of proper abandonment, there are three specific and concrete reasons why it is very important to carry out proper abandonment procedures. How to locate an abandoned well? Landowners suspecting there may be old and unused wells on their property have several recourses. Casing visible above ground, concrete slab or basement floor. Basement offset (small room off of basement). Patch in step or concrete (access for well below). Water well or sewage disposal permits at local health department. Municipal water department – records on water line extensions to homes previously served by water wells. Old photographs of the property. Aerial photographs of the property (showing windmills, well houses). County plat book, soils map, or topo map showing locations of buildings, roads. 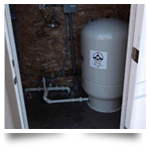 Owner’s records (bills, deed easements) or information written on pressure tank, control box, etc. Magnetometer or electro-magnetic anomaly detectors (these are available through groundwater consultants). You are fantastic!!! Did we hit water or did we hit water. 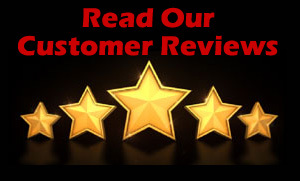 Mike & Kim Bisceglia We are extremely pleased with the workmanship and timeliness of the Heitman Well Drilling Team. Heitman drilling and pumps provides water well drilling services, emergency well service and well repairs for clients in Chico, Paradise , Magalia , Sterling City, Durham, Hamilton City, Los Molinos, Orland, Corning, Willows, Artois, Capay, Dairyville, Red Bluff, Cottonwood, Anderson, Millville, Igo, Ono, Tehama, Gerber, Cohasset, Forest Ranch, Butte Meadows, Chester, Warner Valley, Shingletown, Big Bend, Montgomery Creek, Palo Cedro , Oroville, Paskenta, Platina, Willows, Elk Creek, Paskenta, Lowery, Stoneyford and Whitmore. 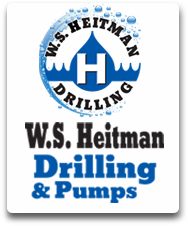 Copyright © 2016 W. S. Heitman Drilling & Pumps Lic# 386577 Bonded & Insured. All rights reserved.